Installed my new Black Forest Industries Heavy GSA knob in the E28 on my lunch today. Should get rid of the notchiness from the z3 short shifter. 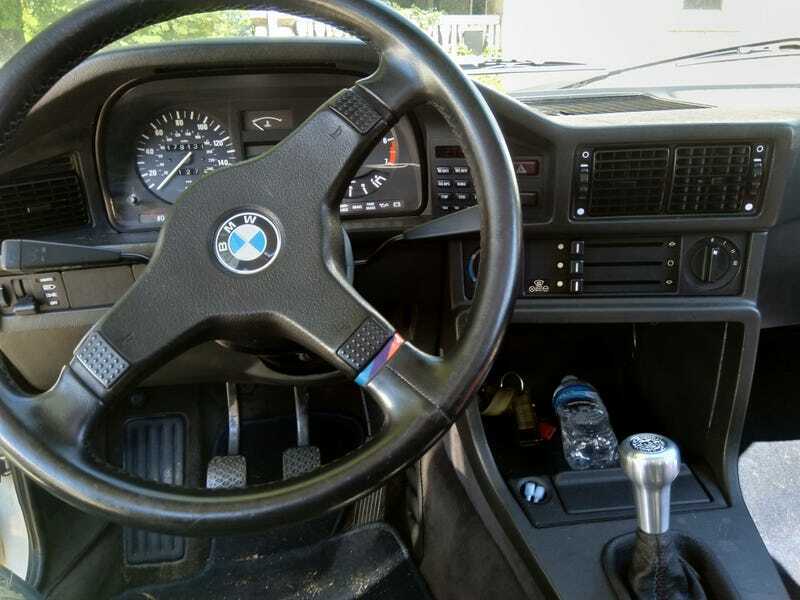 I have the cue ball style 250g knob from them in my e30 which also has the z3 short shifter, the weight helped the notchiness in that a lot. Some of you may notice that the center console is quite different then most e28s. That’s because it’s from a euro factory no ac car. I think radios were standard on all, but I’m not sure about that. The previous owner did give me a radio trim piece if I want to go that route. It would sit just below the climate control in that big gaping space. Edit: I keep posting at 12am for some reason even though I keep clicking pm, kinja.